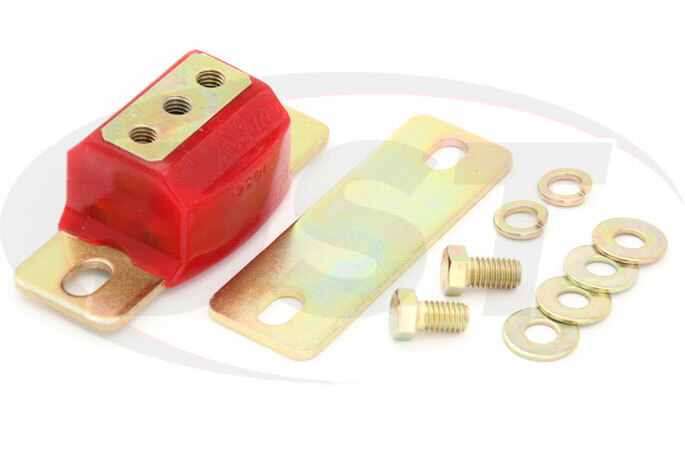 This Polyurethane Transmission Mount from Energy Suspension will replace the worn or degraded original mount of the Jeep CJ5, CJ7, CJ8, and Wrangler YJ. 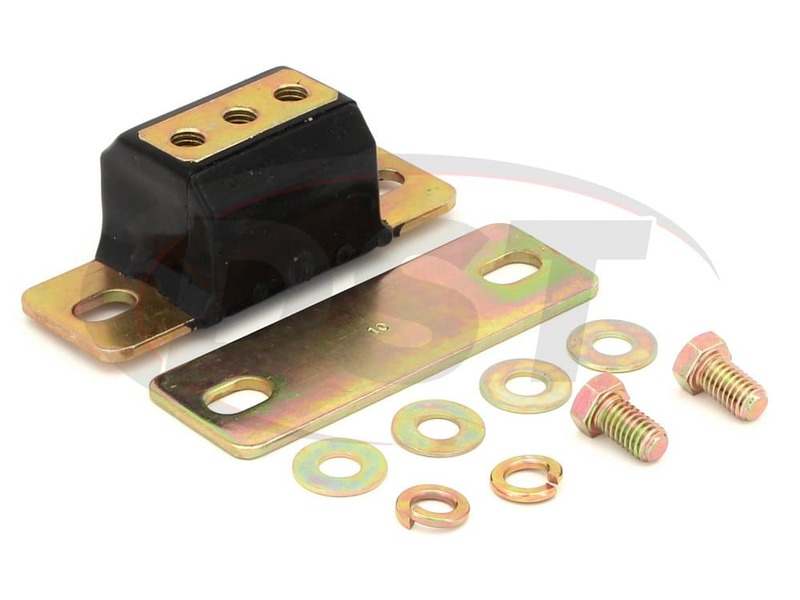 If you have experienced missed gears, clunking under the hood, or just want to upgrade your Jeep's throttle response then this mount is a great option. 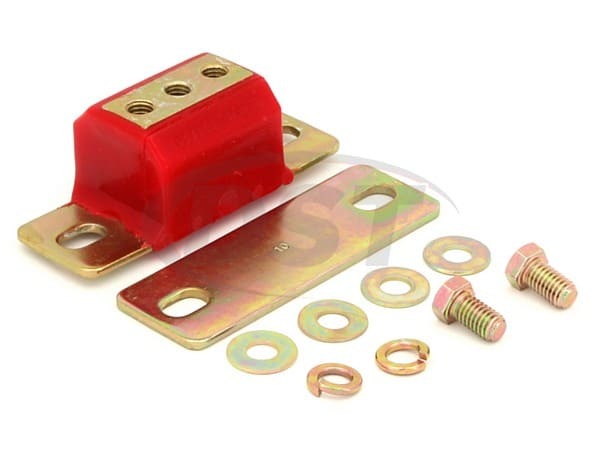 The original transmission mount on your Jeep is made of rubber and connects the transmission to the frame. 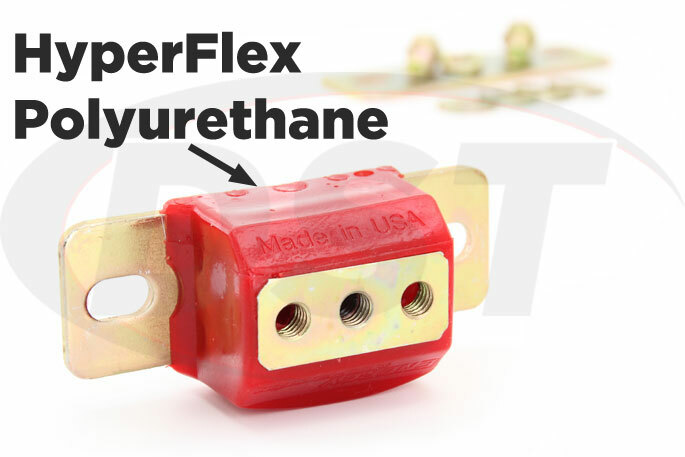 Rubber is used because it is cheap and a great vibration isolator, but with the reduced vibration you also lose some of the durability in that connection. As the mount wears down its shape begins to change until the transmission is able to shift during every acceleration or brake. Once the mount is worn down you will need to replace it, but instead of using another rubber mount which will allow the transmission to move and power to be lost, why not install a more durable replacement that will not only last longer, but also increase the throttle performance of your Jeep? Energy Suspension's HyperFlex Polyurethane Transmission Mount will hold the transmission more securely to the frame and keep power moving through the drivetrain instead of soaking it up like a worn rubber mount. Polyurethane is denser than rubber and can withstand the shape-changing wear that the power of your Jeep dishes out. 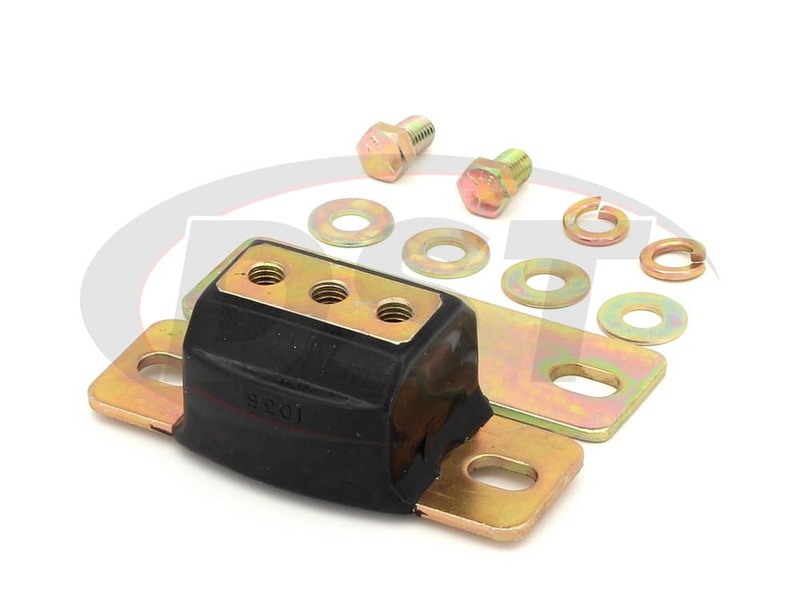 If you've dropped a bigger engine or other RPM enhancing modifications into your Jeep then the original rubber mount (or even a new rubber mount) might not be up to the task of keeping your transmission secure. 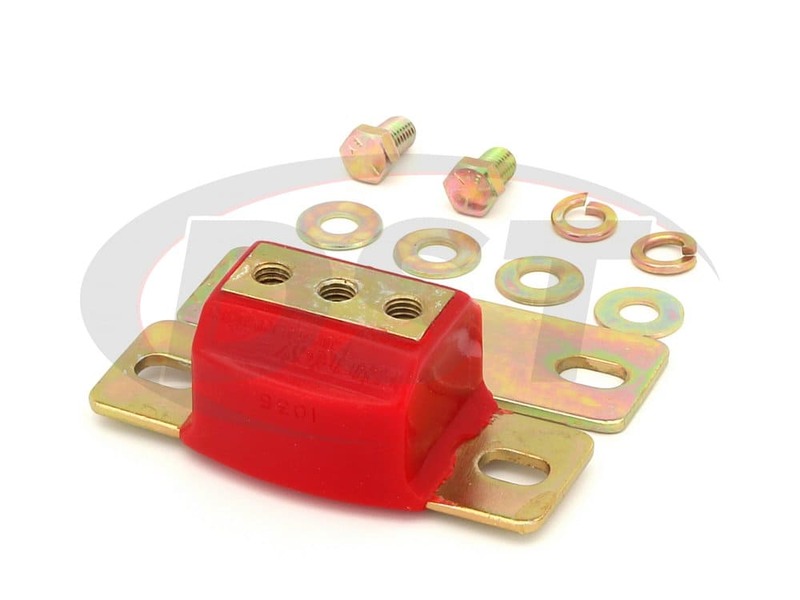 So, if you want instant response when stepping on the gas, trade out that soft rubber mount and try Energy Suspension's Polyurethane Transmission Mount. If there is a downside to using a polyurethane transmission mount instead of rubber it's that you will likely experience more vibration in the cabin of your Jeep. 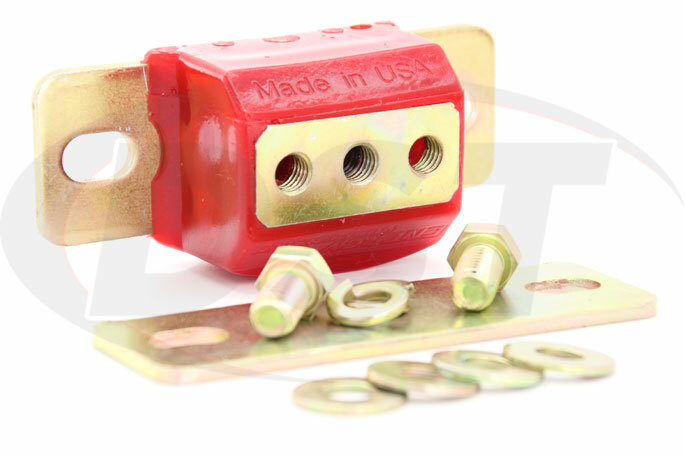 This can be a deal-breaker for some, but if you take into account how much increased throttle response the poly mount will give you then the added vibration isn't a bad trade. These mounts aren't nearly as harsh as solid aluminum options but are under an exclusive warranty from Suspension.com to last the life of your Jeep. 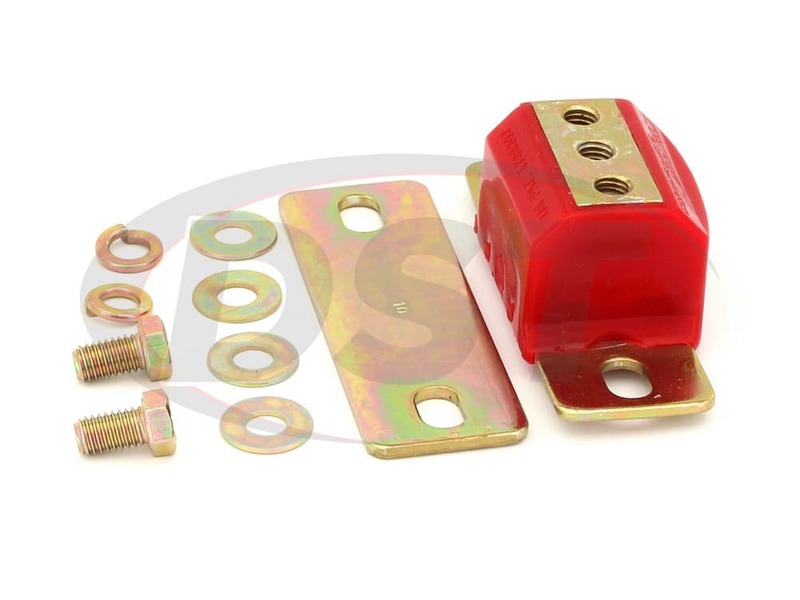 To tighten down that transmission even further you can check out polyurethane transmission torque arm bushings to replace the soft rubber bushings that came from the factory on your Jeep. Good mount - looks to be a lot better than the stock unit. Have not got my project on the road yet. Will part number 3.1108 fit my 1973 Jeep CJ5? Yes, part number 3.1108 will fit your 1973 Jeep CJ5. What size is the center bolts/holes, thread, fine or course on 3.1108? On part number 3.1108 the center to center bolt holes is 1 1/2 inch. The thread count is a 7/16 inch 14 course and is 3/4 long. Will the part 3.1108 fit a 1991 chevy camaro 3.1L 5speed? yes, it is fitted for your 1991 chevy camaro 3.1L 5speed. 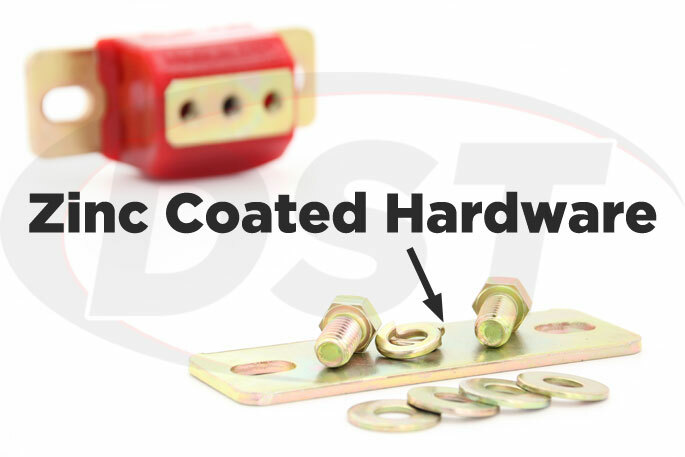 For part number 3.1108, do I use the plate on top of urethane mount, and sandwich the flat washers between top plate and mount? 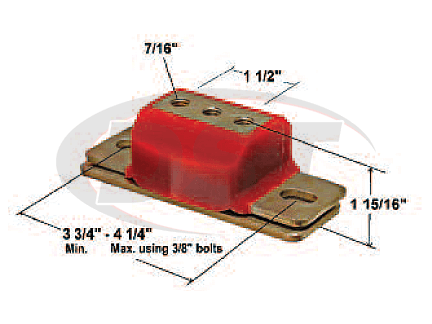 No, for part number 3.1108, you will stack the plate underneath the motor mount. Does the 3.1108 actually fit the 1986 Chevy Monte Carlo, I don't see it on fitment?